Black WE Furniture Polished And Beveled, Tempered Safety Glass. 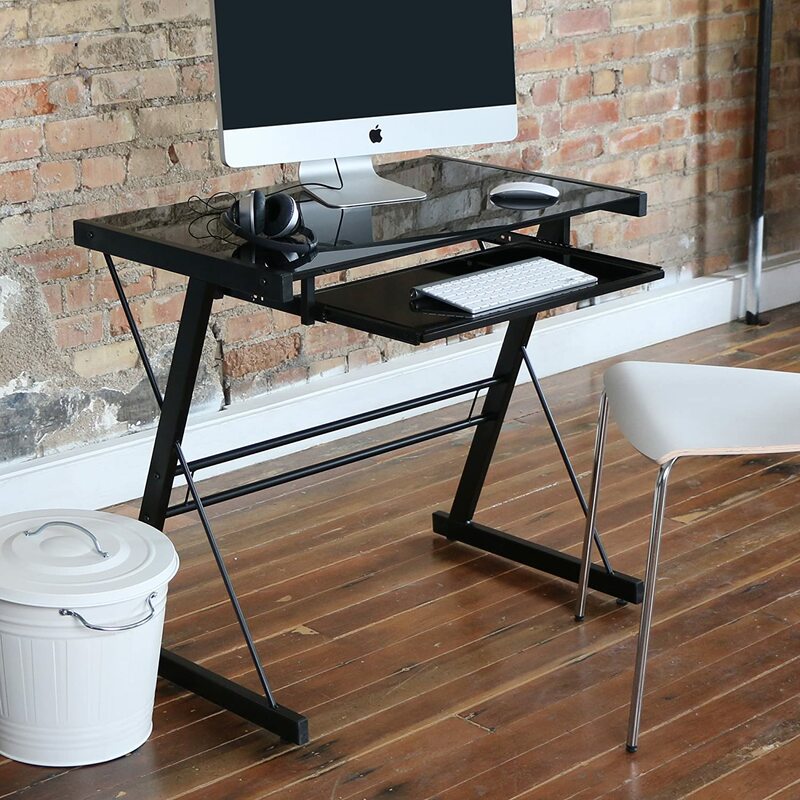 Sturdy Steel Frame With Powder Coat Finish Includes Sliding Keyboard Trey And CPU Stand Measures 51' W X 20' D.
Black WE Furniture Polished and beveled, tempered safety glass. Sturdy steel frame with powder coat finish Includes sliding keyboard trey and CPU stand Measures 51' W x 20' D x 29 ' H (51' overall. About The Black WE Furniture Polished and beveled, tempered safety glass. Sturdy steel frame with powder coat finish Includes sliding keyboard trey and CPU stand Measures 51' W x 20' D x 29 ' H (51' overall. Polished and beveled, tempered safety glass. More from Black WE Furniture Polished And Beveled, Tempered Safety Glass. Sturdy Steel Frame With Powder Coat Finish Includes Sliding Keyboard Trey And CPU Stand Measures 51' W X 20' D.